Holding down the far end of the sunset strip with super fresh food, drinks and tunes. Mint Lounge Bar has been holding up the far end of the sunset strip since 2010, and since then has earned itself a reputation as *the* place to go for fine dining and cocktail sundowners with class. Decorated in green and white, the interior of the venue oozes freshness, making it the perfect setting to watch one of the world's greatest sunsets. And aside from enjoying the scenery or soaking up some rays while sipping on champers, you should also take advantage of the famous Mint menu del día - a three course meal for relatively little cost that showcases the best of the menu, featuring pizzas, pasta and salad, and to die for desserts. 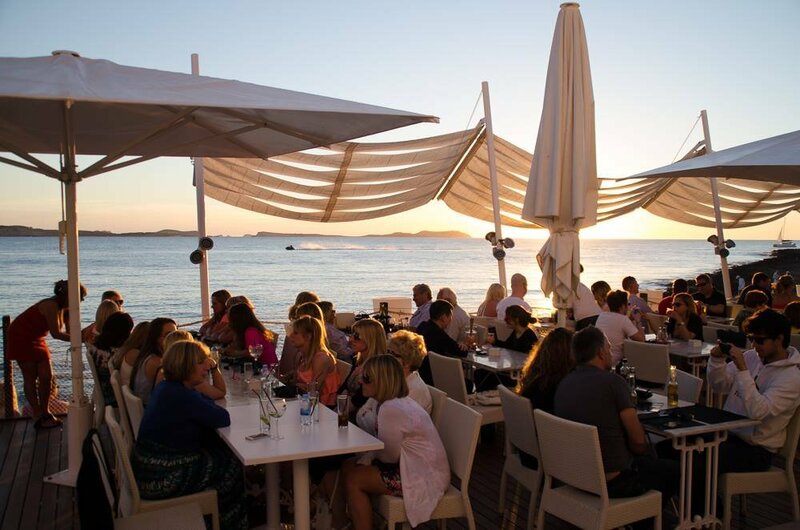 Mint is directly next door to the livelier Café Mambo, so while some of the Mambo magic floats past on balmy summer night, Mint maintains its own soulful vibe, aided by some of the nicest serving staff you'll encounter on the whole of Ibiza.